Assessing the skills sets at the community level helps in identifying skills that are inherited by the individuals through social and traditional practices. There is a constant demand to create jobs and improve skill sets across developing nations. As per a UN report, unemployment in India is estimated to be 17.8 million in 2017. Further, there is a need to upgrade the skill sets of people significantly. There is a need for 10 crore additional skilled personnel by 2022 in the country whereas 30 crore of the existing workforce requires further skilling. Governments and the non-profit sectors across countries (including India) are designing interventions to bridge these gaps. Employment and livelihoods generation is critical for nations as they are being directly linked to socio- economic development. However livelihoods generation is not just about helping an individual or communities earn some income. The perception of wealth and well-being are critical to livelihood generation to ensure that the individuals especially in the bottom of the pyramid can achieve the kind of lives that give them reason enough to value. Kenya as a country is also battling with the same issue- unemployment rate in the country has touched a whopping 40%. A recent experience of engaging with a pastoralist community in Kenya highlighted the need to look at skills development and livelihoods creation through multiple lenses instead of a linear approach. a. Understand the context of livelihood generation: There is a need to assess a community and individual’s background, socio-economic preferences, existing resource maps. For instance, in the small village about 100 kms away from Nairobi, the Maasai men have been able to secure the jobs of security guards in some of the factories that have emerged in the region. While it does help them put a square meal a day on the table for the family, they do not value the job and would rather engage in trade of livestock (an activity that they have engaged in traditionally). b. 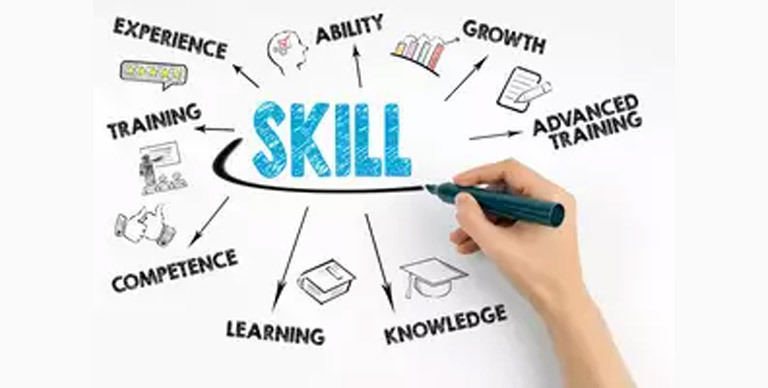 Identify the existing skill sets at community and individual level: Further there is a need to understand the existing skills sets of individuals, at a personal as well as a community level, while designing livelihood generation programs. Understanding the level of formal education, trainings received, past work experience helps in identifying skill sets for individuals. Assessing the level of experience in any activity- subsistence vs. commercial, helps in gauging the existing capabilities. Assessing the skills sets at the community level helps in identifying skills that are inherited by the individuals through social and traditional practices. For instance, nearly every family in the village of Raghurajpur in Odisha is involved in making traditional handicraft. Therefore providing access to market linkages will be more important for this community instead of providing only technical skills. i. Preference and aspirations of individuals/community: Asking questions like- Will the community value engaging in this activity? Will it help them perceive themselves as successful? Will they want to engage in this activity on a long term basis? ii. Existing skills sets: Things that need to reflect under this category are; Does the community/individual have the required skill sets currently? Is there a potential to enhance their capacities on short term basis? iv. Existing demand of the market: Answering questions such as-Does the market value their products/service? Are there any differentiating factors? v. Requirements of the partners: Understanding what skills and qualities do the employers seek? What are the key parameters used by partners to provide market linkages or capacity building services? Answering these questions helps in designing interventions which have a higher potential to sustain themselves. For instance, Nairobi is a large consumer of meat and requires consistent supply of quality products. At the same time the Maasai community owns substantial livestock which has not been utilized for income generation. So, there is potential to provide support to the community to engage in livestock related businesses (in an activity they prefer to engage in) to create a steady flow of income. Social enterprises such as Mara Beef (sells beef) or Cow Soko (online livestock trading platform) could provide the required training and market linkages to such communities. d. Design relevant methods to unlock the opportunities: Unlocking the opportunity constitutes of identifying skills gaps, bridging them through training, creating the linkages and hand holding the community to roll out the programs. Detailed plans can be outlined to roll out the programs which might include entrepreneurial support, technical capacity building and setting up of cooperatives/CBOs if required. In case of jobs creation, the programs can connect the individuals with relevant training centres, academic institutes and in parallel provide assistance to identify relevant job opportunities. Further, the individuals and communities can be connected with relevant financiers and enablers. Long term hand holding support may also be required to ensure successful implementation of such programs. It is critical to ensure that the relationship with the partners is symbiotic and the partners also benefit from the engagement; this would ensure sustainability of projects. Some of the other success factors in designing relevant livelihoods generation programs include identifying core design principles for each program, using human centred and participatory approaches and gaining buy-in from the community. Further while prioritizing various livelihoods generation options, there needs to be a balance between initiating flow of income on short term basis and creating skill sets on long term basis. The writer is Consultant, Intellecap.